Bamby Salcedo, president and CEO of the TransLatin@ Coalition, will be co-presenting at Gender Odyssey LA on “The State of TransHealth: Trans Latin@s and Their Healthcare Needs.” Her wide-ranging activist work has brought voice and visibility not only to the trans community, but also to the multiple overlapping communities and issues that her life has touched, including migration, HIV, youth, LGBT, incarceration, and Latinx communities. Through her instinctive leadership, she has birthed several organizations that created community where there was none, and advocated for the rights, dignity, and humanity for those who have been without a voice. Bamby Salcedo. Photo by Ryan Pfluger. Out100. NATHAN TABAK: What main takeaway would you like to see attendees of your presentation come away with? BAMBY SALCEDO: I hope people will find it enriching and educational to see so many people working in their fields to address the needs of Latinx trans/GNC people. For our presentation in particular, I hope attendees will come away with an understanding of service providers’ duties—they have a responsibility to their Latinx trans/GNC patients; they’re not simply in the field because their heart tells them to do so. I want service providers to understand social justice through the work they’re doing to meet the needs of trans people. Finally, I want people to come away with an understanding of the unique needs of Latinx trans/GNC immigrants. With so many in our community in detention centers, it is all the more critical for people to understand the laws that determine their well-being. 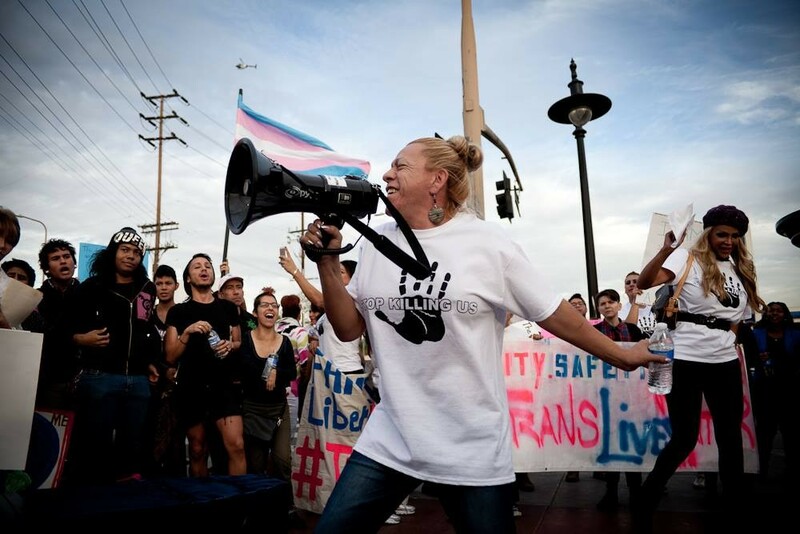 In the current political climate, why is Gender Odyssey so important for the trans/GNC Latinx community? I am excited that Gender Odyssey is providing an opportunity for the unique issues of our community to be highlighted. Giving us a platform to speak to the specific needs of trans and GNC Latinx, and to educate providers about those needs, is all the more important given the climate we face. What is the most important political battle right now? 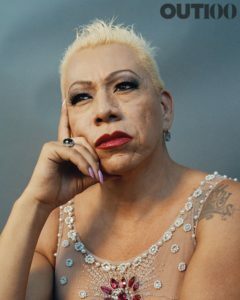 What issue stands to make the most difference, for good or ill, in the lives of Latinx trans/GNC people? I would say that it is not a matter of any one issue. Clearly, immigration is one of the top issues affecting our community. But so are health care, with the threat of the Affordable Care Act being dismantled, and education, with Sec. Betsy DeVos attempting to privatize the school system, push charter schools, and repeal Title IX guidance on transgender bathroom access, all of which have the potential to marginalize Latinx trans and GNC people. All of these policies being pushed on a federal level trickle down to local communities. For Los Angeles, I would advise service providers to attend to get an education in the unique challenges faced by Latinx trans and GNC people that they might not be able to get [access to services] otherwise. I am excited that I have the opportunity to share my experiences and hopes with them, and to teach service providers more about our community. By learning more about and from us, they can meet our needs all the better, and I look forward to participating. Do you have any closing thoughts on Gender Odyssey? Gender Odyssey is breaking barriers and building bridges between service providers, transgender and gender-nonconforming people, and their family, friends, and allies. I’m thrilled that LA is one of the cities they chose, and I’m grateful that we as an organization are able to support them. This entry was posted in Blog and tagged Activists, Bamby Salcedo, Conference, GO2017, Latin@s, Latinx, Spotlight. Bookmark the permalink.